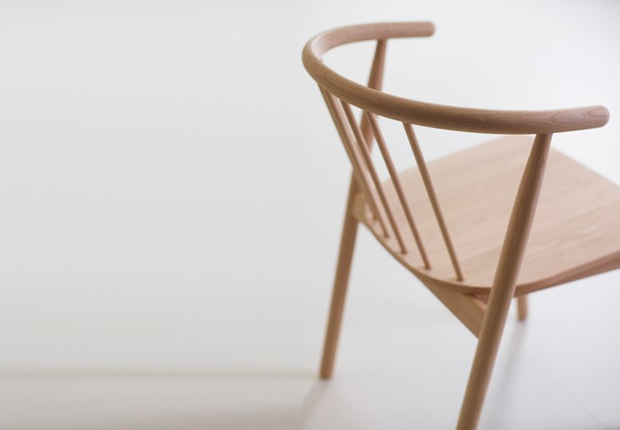 I know I’m running the risk of turning this blog into a bit of a furniture fest, wasn’t my intention, but since I’ve started a little chair project of my own it seems to be ironic that I’d run across works of this nature. I become like a human magnet. Originally I thought it would be hard to find forms that might intrigue me, but just like this website I’ve had no problems inspiring myself and there’s an abundance of drawings on the net by famous designers already. So it’s quite easy to mimic for the sake of practice, something I agree on until you can pick up your own forms and shapes. I’ve been looking at some Eero Saarinen furniture in-particular as a way of learning structure, I didn’t realise the fascinating forms that he carried across to various items of furniture, in fact he stuck with a certain shape and pushed that along for quite a while. I like the idea of building something that’s consistent but at the same time I think it would be better to experiment with multiple concepts, starting with drawings, then small models, maybe testing out with a prototype after that. It makes sense as I’m a young designer who has no history per se. 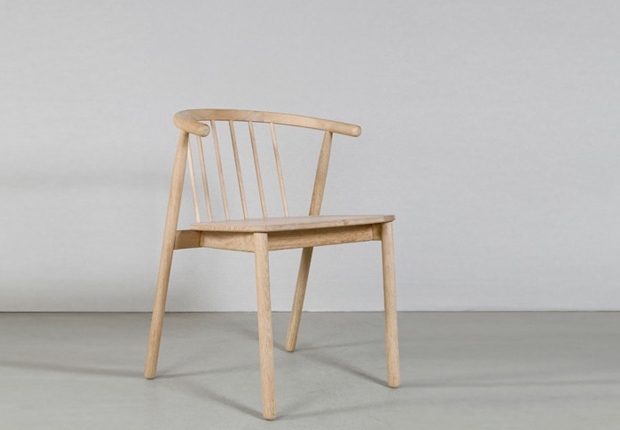 This was a chair that I’ve been admiring from afar and is one that I hadn’t come cross before by Norwegian designer Andreas Engesvik. He recently went solo in 2009 and opened up a studio in Oslo, this has led him to work on a variety of interesting projects in the last three years. 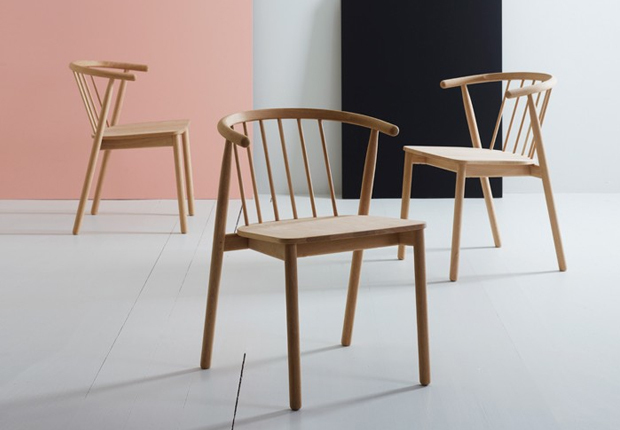 I was originally enticed by a recent piece of work named ‘The Woods’ that’s a collaboration with fellow Norwegian studio StokkeAustad. The inspiration behind it is a tree that changed colours and transparencies throughout the seasons, they also had the concept of working sculpturally and reducing the gap between industrial design and crafts. Each piece is hand blown out of glass to look like a tree, I’d urge you towards their website to see more of this series as it’s quite a stunning final set of objects. 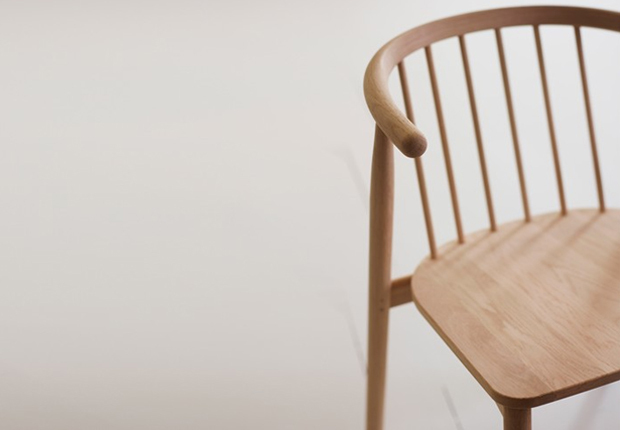 Following on from that the chair became my next point of reference, titled ‘Vang’ it’s a simple wooden chair that was developed in 2010, produced by the traditional handicraft factory Tonning. 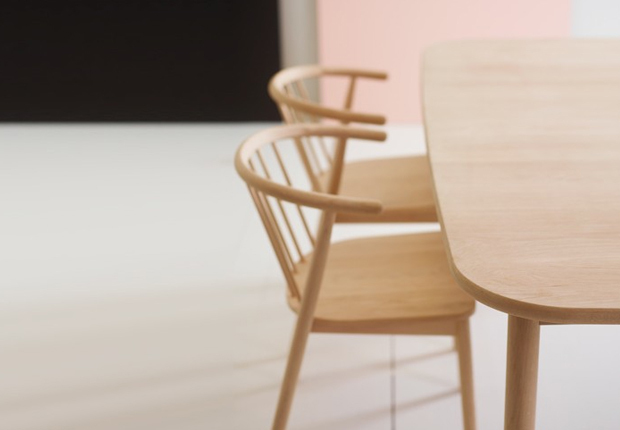 Tonning has a great reputation when it comes to producing furniture that’s handcrafted and functional, and this ‘Vang’ collection preys on a lot of their core values as a company. 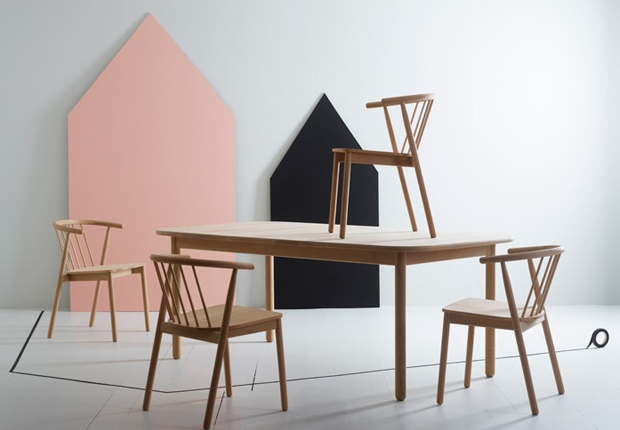 The series is a wooden chair and a dining table made of solid oak, the wooden chair is built on a simple framework with the backrest being constructed from a ‘stick-back-theme’, upright rods connected to the steam-bent-top-piece. 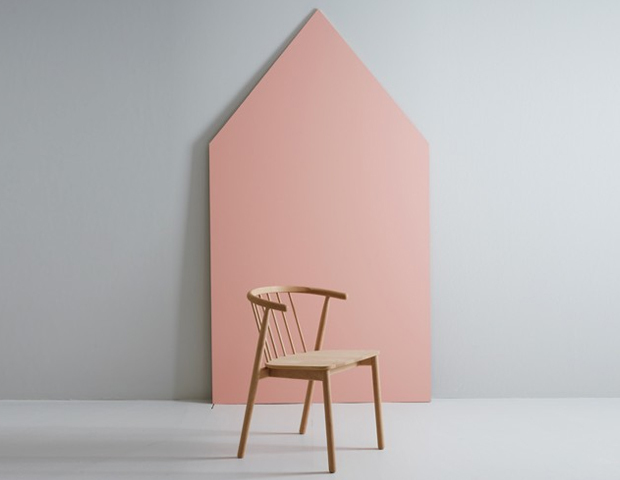 This top-piece is one of my favourite elements and can be seen throughout the years as a classic Scandinavian design trademark, I don’t know about you but the CH24 (wishbone) by Hans J Wenger comes to mind. 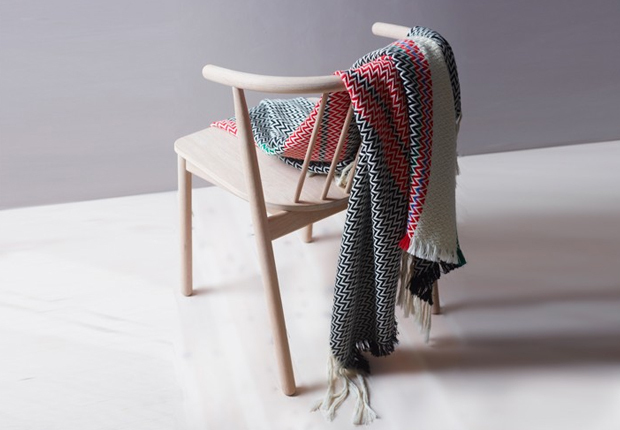 In my eyes this is quite a stunning chair that I can definitely take heed from for my own projects. 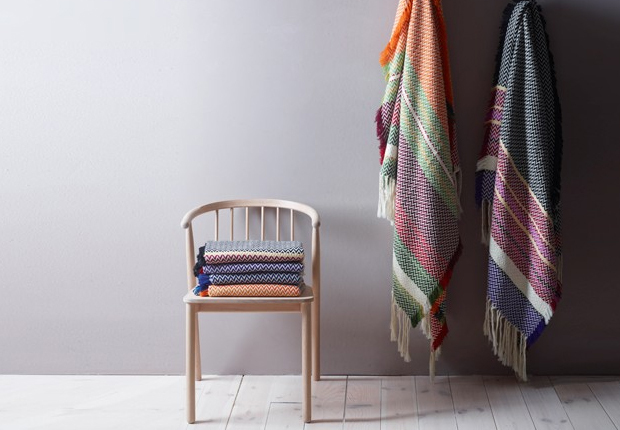 Plus, it has that handcrafted feel which gives me the confidence that I could maybe make something myself, or with the help of a woodworker, that follows a same line of thought.